When it comes to setting up your website, getting it online is just the first step. The main challenge lies in building a readership. We take a look at some of the best ways you can promote your website free of charge. There are hundreds of free website directories online today. Do a quick search and settle for a few that will allow you spread word about your site free of charge. Many of them have a premium service that will allow you to add pictures, media, etc. but the free version is enough to get you started. Some of the directories you may want to consider are Biz Highway, Manta.com, Superpages, and Dexknows. You can also consider the search engine listings like Bing Local, Yahoo Local and Google Places. You may have to spend time filling out the details but it doesn’t cost anything. The more directories you can get on, the better for the popularity of you website. This is a great option only if you have goods or services that you just launched. A press release site is like the directories above, the only difference is that you have to write a detailed description about your service. The release you submit will be picked up by some media houses. Some of the best you can consider are PR.com, 24-7 press release, PR Log, PR.com, I-Newswire etc. They won’t announce you on the major media outlets, unless you are pretty amazing, but you can be sure the information you shared will be redistributed on other websites. “Having a website without an active social media presence and trying to spread word about your services is like opting to walk to a far off destination instead of getting on the bus” says Kate, analyst at bestwebhosting.co.uk. “You will get to your destination but other people that took the bus will get there much faster, and will have shared their site with all their fellow passengers along the journey”. You are simply making things hard for yourself if you don’t have at least a Twitter and Facebook presence today. Some of the biggest businesses have strong presences on those two as well Pinterest, Instagram and LinkedIn. The links you share on social media can do a lot for your rankings on Google. 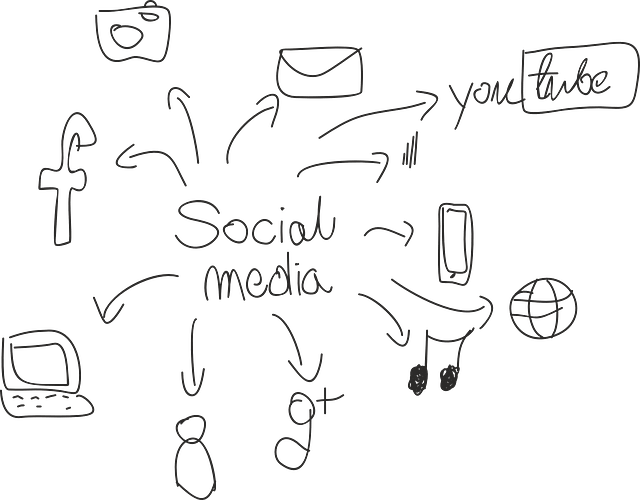 Here is a good piece on getting started on social media as a business. Most websites allow visitors to leave comments. They do this because it is a good way to tell the search engines and everyone else that they are attracting readers. Depending on the website, you will be allowed to leave a link back to your post on each comment. Take advantage of this. However, don’t abuse the privilege. Always make sure the comments are beneficial or else they will be deleted by the web admins. Devote 30 minutes a day to commenting on high value websites and you will be able to create traffic for your website. Many people ignore this but it is one action that certainly works. Make sure every mail that leaves your desk has a link to your website. Make the signature very attractive and bold so it is hard for anyone to miss. Emails can get forwarded and so will your website address. As you try to promote your website, you may be tempted to indulge in certain negative promotional techniques. Doing one of these is enough to undo all the good work you may have done already. Here is a piece on how not to promote your website.